In the market for a budget friendly M/T that balances off-road performance with on-road handling? If so, the Cooper Discoverer MTP may be for you! 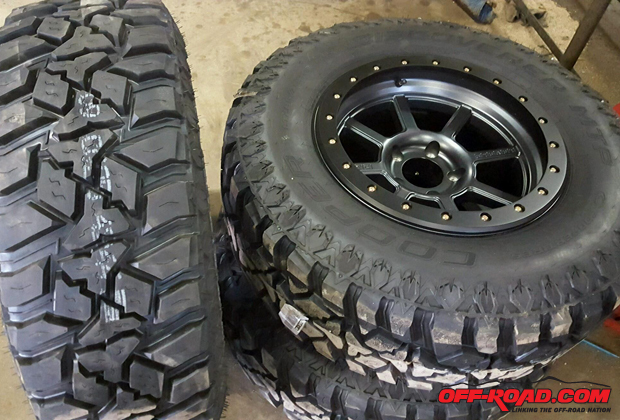 Exclusively available at Discount Tire, the MTP delivers dependable off-road performance and resists uneven wear, so if you have to hit the pavement, you can do so with confidence. *Bulk of sizes will be available January, 2016. Click here for Cooper Discoverer MTP Pricing and Availability through our mail order division, Discount Tire Direct. For installed pricing, availability and ETA, please contact your local Discount Tire. Last edited by Discount Tire; 08-08-2016 at 7:36 PM. Cooper Discoverer MTP product video added to the OP. Make sure to check it out! For those curious, the JK utilized for this video was equipped with 17x8.5 (4.5-inch BS) DX4 Tuff wheels. See the link below for details on DX4 wheels. Only five(5) days left to save when you purchase a set of four(4) Cooper Discoverer HTP, ATP, or MTP tires! Need a new tow vehicle?